If you are over 50 years old, we would like to invite you to register for the ASPIRE55 Gold Membership. 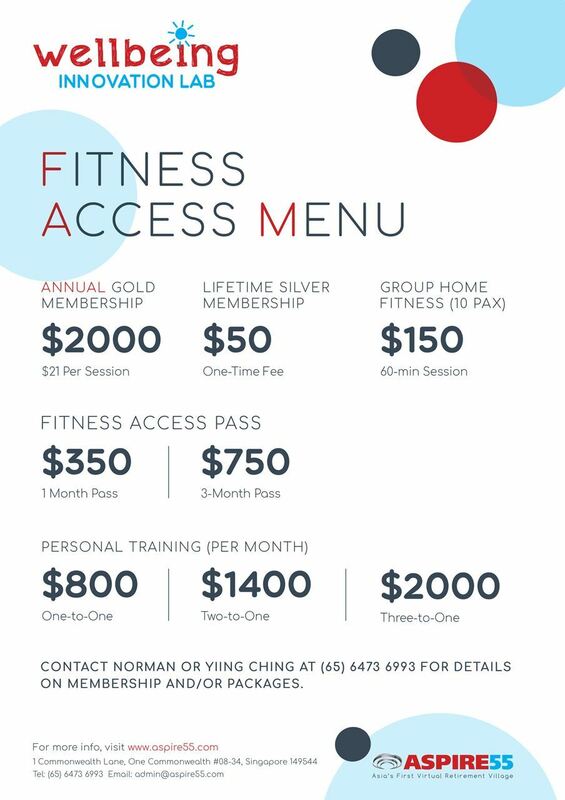 This annual pass entitles you to come up to twice a week, as low as S$21 per class. Visit this page to find out more.